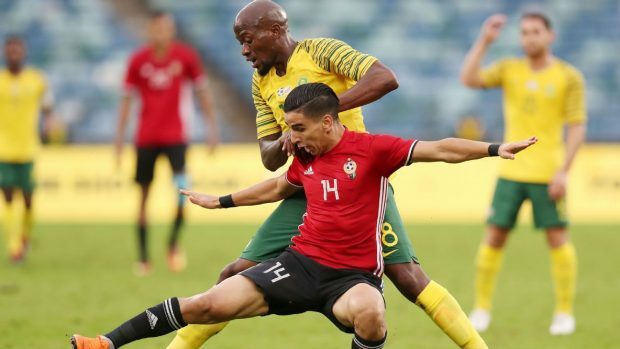 South Africa won 2-1 against Libya in Tunisia’s Sfax and qualified for the Egypt-hosted AFCON 2019 as the second on Group 5 after Nigeria, which qualified as the first. Libya put out good performance in the first half and ended it 0-0, but South Africa managed to open the score in the beginning of the second half by Percy Tau. However, Ahmad Benali converted a penalty in the 66th minute to give Libyan fans who flocked to Tunisia a ray of hope. Yet, Tau gave Libyans the fatal blow with his second goal of the match in the 69th minute as Bafana held on to secure a famous 2-1 victory.